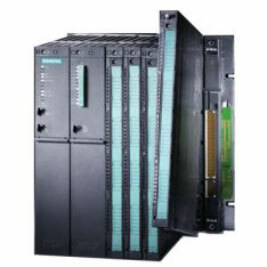 The SIEMENS SIMATIC PLC S7-400 is the power PLC for the mid to high-end performance ranges. The modular and fan-free design, high level of expandability, general statement and networking options, simple completion of distributed structures, and user-friendly handling make the SIEMENS SIMATIC PLC S7-400 the ideal solution even for the most demanding tasks in the mid to high-end performance ranges. M/s Grups Automation, Exporter and Manufacturer of High Quality SIEMENS PLC S7 400. We have successfully completed installations and can provide better after sales services in following countries / Cities.